Today is Day 11 of My Selfie Challenge. This is my time to look at how I walk in the world and to shake loose from some of the very things that bind my spirit. And if I am going to be really truthful, it is my hope that as I take each photo, I will learn to be just a little happier with the person that I am. As a seeker, it is my time to find the beauty that is me. The journey within is one of the most profound treks we take. The range of feelings and emotions can be intense. The confines of our mind have the ability to empower us to soar or to take a deep dive into despair or every emotion in the middle. Without a doubt, I believe that life can be really messy with every gift and challenge that emerge. So with that in mind, I tried to allow for a quieter day today; I wanted to honor my life on my birthday. My day was really not what I expected. I wanted to be outside hiking around and/or sitting in a cafe totally breathing in the smell, breathing deeply, and writing for hours. Instead I worked for a good part of the day, felt cold and achy from the cold rain at times, and connected with my family in Israel and a couple of other dear friends. AND I sat in a chair and drank a hot cup of tumeric and ginger tea, I pulled some weeds outside with my dogs doing everything they could to distract me, and allowed for moments of quiet to settle my kinetic soul. A good part of the day was taken up with reflection about what I want and need so that I am in the healthiest place I can be this year. What do I need to do to beautify this life I am living. I realized that I had to do a little more grounding work so that I could soar and better reach some of my long term goals. The universe is ready for me. Am I ready to show up and give the world the best parts of me and the fullness of my spirit? I think I am. I am also willing to be challenged and to challenge as long as it is with good intention. Holy living is worth it! Yes life is hard, but it is also exceedingly precious. One of the most treasured realizations that I have from the last two days that I should have taken completely off is that I need to celebrate the moments. While I didn’t get to have hours in the woods, I took time to talk Torah and philosophy, to breathe in the scent of our puppy and snuggle with both of our dogs, and to take a couple of long walks too. I didn’t write. . . .not until 10 PM tonight, but what I did was far better I just moved my body, my mind, and my soul in whatever way it needed to move at any given moment. My birthday was perfect in nearly every way. What a beautiful way to celebrate my life. Sending love, light, and blessings . . . . .
you come out with a new life and it’s better than the last one. Twelve days ago I ate gluten for what I hope will be the last time. To say that I felt absolutely awful is an understatement. Every fiber of my being hurt to the extent that nine days after the accidental consumption I ended up in the ER. Within 20 minutes of eating the gluten-filled panini, I knew I was in for a challenging evening. Within an hour, I felt so sick that for a dramatic moment, I was praying that life would cease. The good news was that even when I felt the extraordinary discomfort, I knew I would find a way to cope quickly; I also knew that I was in for up to three months of core exhaustion and intense joint pain. Saturday night, October 1st ended up being a total bummer that ruptured a period of spiritual calm. It is hard to remain calm when you are in the midst of being over the top dramatic and crippled with pain. And then there was this past Sunday, when the pain had escalated to about 8.5 or higher on the 10 point pain scale and I started feeling nauseous, was fighting a fever, and struggled to walk. Going to the ER seemed prudent at the time and like the only option too. With the sense of vulnerability overflowing, I caved into going to a place that lacked the ability to treat me with dignity and made me feel small and insignificant. Sigh. AND I am now emerging! My visit to the ER was a reminder that I had recently surrounded myself with a fabulous team of healers. Some of them know me and are directly helping me navigate my health and others are people that are inspiring me spiritually via books, podcasts, and social media. I am so excited to actively engage in my new healing journey!!! I consider myself to be a spiritual warrior. My journey to self care has been intense over the years. I have struggled to loosen and/or release some tightly wound ropes that kept me bound to pain and darkness. Through chanting, drumming, writing, movement, and other creative endeavors, I have found new norms. Six years ago, I openly did a health journey that focused on staying away from eating foods that caused me health challenges. I lost a ton of weight and I stopped getting UTI infections just be giving up soda, caffeine, and sugar. While I kept off most of the weight, I am now doing low levels of the above mentioned foods, although effective tonight, I am making a conscious decision to go back to refraining from those foods, plus making some lifestyle decisions. Perhaps it isn’t ironic, that the decision to create a list of non-negotiables and to openly share my health journey happened on Yom Kippur. As I sat in services, I was overwhelmed with both a sense of loss and a sense of joy. The loss was that I wasn’t the healthiest that I could be, but the joy came from the realization that I am in the midst of doing good work and I can do even better work. All three of the ‘trinities’ will get my attention each and every day of this journey. Over the course of this time, via my blog I will share how I am moving forward, who is inspiring me, my practitioners, and the impact that this journey has on my life. Via Facebook, I will share the daily countdown to my birthday and the daily highlights/challenges with each step. I am so blessed to have my daily writing practice, a new Ayurvedic Practice, a new Acupuncture Practice, and hopefully what will be regular massages with an AWEsome healer. And then there are the daily gifts that I continue to find each and every day. And finally, I feel humbled to have an amazingly supportive work environment to keep me grounded as I find new ways to care for my body, my mind, and my soul. As Yom Kippur came to a close, I became aware that my physical pain was slipping away and the gates were opening to some very profound and enlightening possibilities. Turning 50: Do you want to help? February is my birthday month. 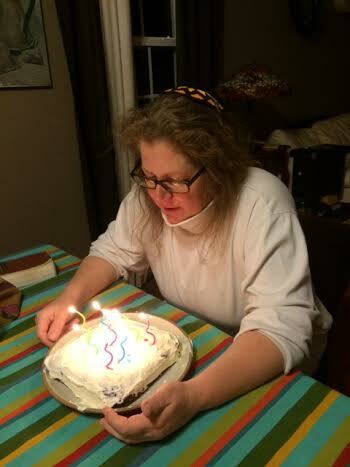 For the last month, I have been trying to capture how I feel about turning 50. I had some amazing plans to share my thoughts in writing, in photos, in little pictures, and. . . . BUT, the writer and artist did nearly nothing. EXCEPT that I have been silently experiencing a sense of AWE. I can’t believe how blessed I am. How did I make it to this place in time? While many see me as overcoming great obstacles, I don’t see my life in the same way. Not really. Instead I see myself as being fully alive and navigating all that is. With each and every step, I am surrounded by angels, loved ones, friends, and family. I am loved on so many levels, by so many people. I am NEVER alone. NEVER. WOW!!! With 50 years old coming this Saturday, I have decided to ask for the one gift I truly want. I would love your help in creating a piece of work that I have been calling the ‘DANCE OF EMERGENCE’. For nearly a year, I have been writing messages to myself through words and simple pics; I have also been asking a few close friends to add to what will be my very unique vision board. I owe a few friends the canvas rectangles and I am wondering if any of you would like to help too. If so, I will mail put the canvas rectangles in the mail on Friday morning, the day before my birthday. Use any permanent medium you want to decorate the canvas. No need to worry about borders – you will see what I mean when I put it together. Email me your home address in Facebook or email. Return within three days if at all possible. What do I want on the canvas? a saying, a picture from your heart, a blessing, a word, or . . . .
On my birthday, I will take the time to create a larger canvas with a picture from my heart and the words ‘DANCE OF EMERGENCE’. Let me know if you want to join me as I celebrate my life and my future. Barely a week has passed since my father’s yahrzeit; I think about him every single day and I miss his presence in my life in ways that make little or no sense to me. Today, a friend of mine mentioned how his father was diagnosed with cancer on his birthday and died 10 days later; he would have been 89 today. Although this friend is merely a Facebook friend, I wanted to reach out and comfort him. . .I understood in some small way how he may have been feeling. My father was diagnosed with brain cancer a couple of days before his 71st birthday; 6 weeks later, he took his last breath. I will never forget when my father took his last breath or the weeks leading up to it. 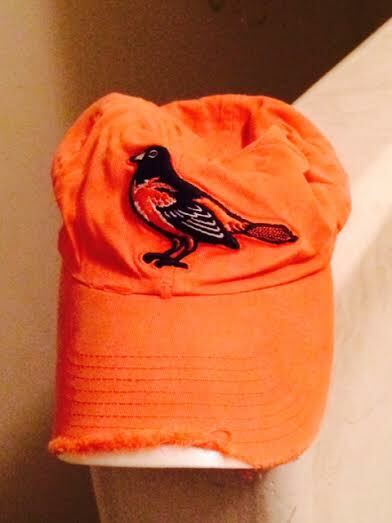 Aryeh wore this Baltimore Orioles baseball cap for many years following his Zaydie’s death. My father was an amazing Zaydie who loved his grandchildren more than life itself. So, with that in mind, he did what any proud Zaydie would do, he put on the outfit and ate chocolate cake with us. It was the last time, any of us celebrated life with my Abba. I can’t believe how he pushed through the last birthday of his life not for himself, but for his precious grandchildren. Zaydie believed that grandchildren were a grandparents reward for not killing their children. Dad also believed that grandparents and grandchildren had one thing in common; they both couldn’t stand the parents. May my father’s memory continue to a blessing for good. I love you Daddy. Everyone needs someone to guide them as they walk through their life. As a child, I was no different. While I needed to dodge what was happening at home, I also needed the direction to grow in spite of what was happening to me and around me. While the elders cared for me and supported me, none of them let me wallow in my pity parties; each gave me tools to survive and ultimately thrive. The ‘elders’ in my life kept me alive by simply opening the door and allowing me to walk through it. As we keep moving along. As a young girl, I found drugs more intriguing than most anything else in life. By the time I was 11 years old, I was enjoying a few of the ‘lighter’ drugs on a regular basis. At 14 years old, I had tried or was using nearly every street drug available to me with the exception of heroine. Funny, I distinctly remember that I prided myself on never shooting-up. And then sometime around the spring following my 16th birthday, I stopped and I let go of all of the drugs that had been part of my young life. One day, I woke up to the realization that I didn’t want to be like my mother. During much of my childhood, my mother was a very sick soul and an abusive monster. I didn’t know what it meant to choose a different path, but I believed that I wanted to be better and very different from the person who birthed me. Over the years, I’ve come to understand that while I was really alone throughout my childhood, there were some angels that touched my life along the way. The most important person for me was a man named Mike Gimbel. Mike was real, a recovering addict, a therapist, and someone who believed in me. And he was the person that helped lead me towards a different life. Mike probably saved my life by somehow helping me believe that I could change the course of my life in every way. While he was a social worker, he also reached me by going out of his way to be present when I needed him most. I remember two or three times, he picked me up in his car and listened as I dealt with the crumbling of my heart and soul. 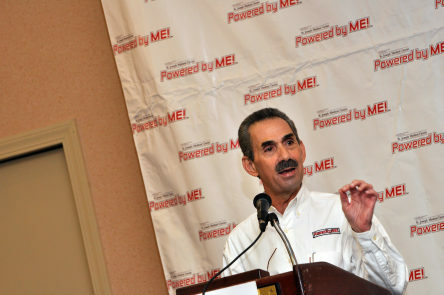 Mike Gimbel is he man that had the most profound impact on my life, he gave me the tools to save myself. Growing up was hard, really hard. The journey lead me to be self-reliant. There was no one who could really keep me safe or healthy except for me. Mike was probably the most influential angel, but there were others who took time to make the difference. One man was a mentor/leader in my Alateen (a group for children of alcoholics) community, his name was Tom Beam. Tom opened his heart and gave all the love he could to his children. I don’t believe he had any of his own, but he had hundreds of teens that looked up to him. Even after I drifted away, Tom always remembered my birthday by sending me a birthday card and calling me too. Without fail for a decade or more after I fell off the Alateen journey, Tom remembered me. There were years when no one else celebrated my life with me. To be fair, the good news is that my brother always remembered my birthday regardless of where he was and what he was doing. So at least I was remembered. As long as I needed Tom, he would pick me up in his big Volkswagen Van; sometimes he would make sure I was eating, sometimes he would take me back to his house, and sometimes he would just sit with me while supporting me as I navigated my dark moods. And then there was Goldie Gorn. Mrs. Gorn was the principal of the religious school where I grew up. She took time to listen to me and to allow me to cry. She also gave me a huge gift a few years before her death; she helped make it possible for me to leave my home at 16 years old and go to Israel for 11th grade. At Kfar HaYarok, my school, I was given wings to fly and the belief that my childhood would not destroy me. Without Mrs. Gorn’s nudge and my brother’s perseverance, I would not have taken the final leap towards becoming a healthy human being. Well maybe not that healthy. . . .very few teenagers are healthy, but I was moving in the right direction. were authentic in the way they walked in the world. listened with an open heart. believe every word that I shared and that allowed me to share a little more of myself. gave me tools to help myself. nurtured me sometimes with love, sometimes with a warm meal. cared not only for me, but for many others. I feel so blessed that Mike Gimbel, Tom Beam, and Goldie Gorn took time to guide me through a part of my life. I would not be who I am today without having them helping me navigate the journey called life. My hope and my prayer is that I am walking the walk that these ‘elders’ modeled for me. As I write this blog, I realize I have work to do. How about you? PS – If I lived in Baltimore, I would sit at Goldie Gorn’s grave; I would try to find Tom Beam’s grave and visit his church too; and I would welcome the opportunity to give Mike Gimbel a huge hug and thank him in a very personal way. I would not have been half the person I am if it wasn’t for these loving souls. Every day is a birthday; I really believe that. Deep inside, I truly believe that I should be celebrating life each and every day. I also believe that I should celebrate the lives of those I love each and every day. Life should never be taken for granted; life is not a given. This year, my birthday came without any real fanfare except that Facebook friends reminded me that I matter. How beautiful is that! I was also blessed to be remembered by a few friends that went out of their way to text me, send my cards, and call me. One family even brought me a gift basket that literally brought tears to my eyes. Another friend made me a gluten free cake which has now ruined my sons ever making me cake again; hers was too good!!!! One gift that I always treasure is the phone call I receive each year from my brother; this year was no exception. Finally, I was also able to hang with one friend in the morning and another friend in the evening. Life is and was truly good! Spiritually, today was a day of reflection; with reflection comes both gifts and challenges. Today was a day to think about what I want over the coming year; it was also a day to not only remember the many losses that are imprinted on my heart, but to celebrate my life. Today was not easy, but that’s ok. In order to grow, we sometimes need to reflect. Accepting the realities of life and reaching for dreams takes work, hard work. When you admit your dreams, you are also admitting that there are things you want and areas that you are falling short. Ultimately, reflection can be a gift you give yourself. My voice matters and I don’t want to be silent when I have something to say. Chanting brings calmness to my entire being. When life is busy, I still need to take time for the things I love. Family dinners aren’t a choice, they need to be a given on most nights. Being a good friend means being more present than I have been over the past months. My body is craving time to move, time to drum, and time to write; I need to do the things that make my soul sing. If I want to be creative, I have to find ways to embrace the journey of skepticism from not only those that surround me, but from myself too. 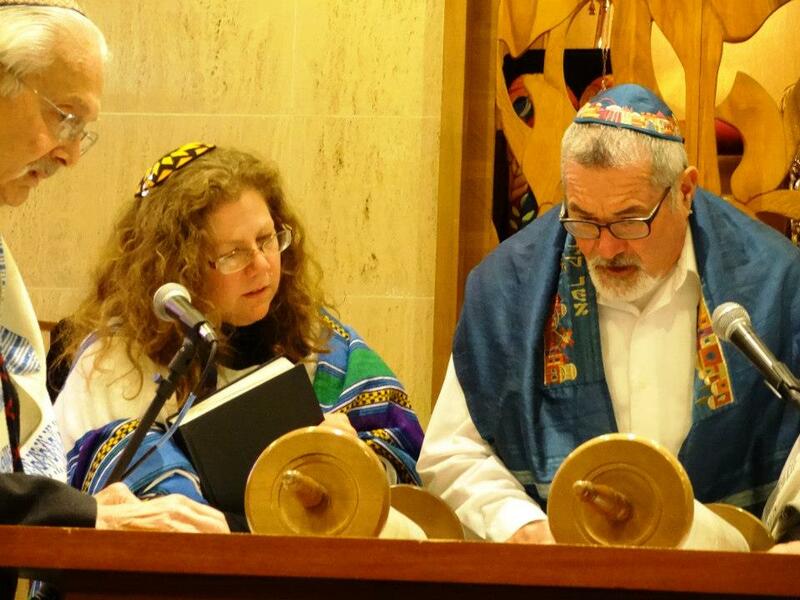 Judaism brings me joy, but I have to make time not only to work in a Jewish environment, but nurture my own Jewish soul. Moving through my short-comings is humbling, but also necessary. Photo courtesy of Simon Rosenblatt. Being called up to the Torah for an aliyah is amazing, but it is time for me to read from the Torah again. I am alive! Living life fully means embracing all the parts of my being. Will you join me as I move through the coming year.